It’s been soo cold the past few days in New York. I was inspired to make this necklace. 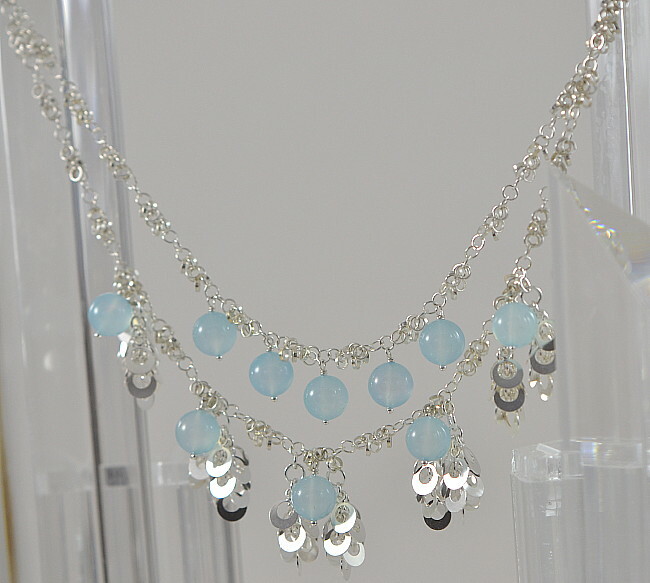 The Chalcedony’s are icy blue. 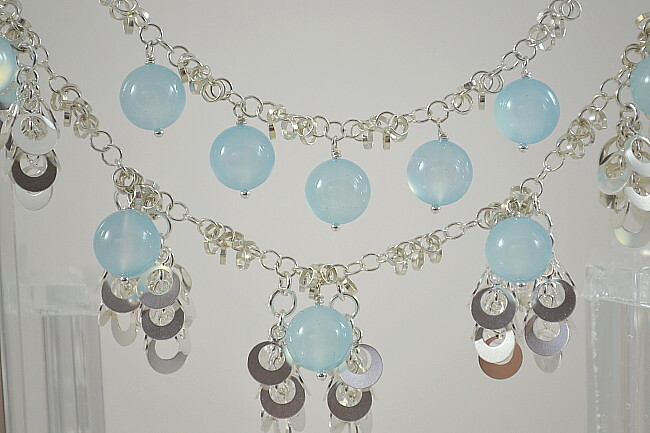 On the bottom row I cascaded circles of sterling silver on each side of the balls. These really sparkle! 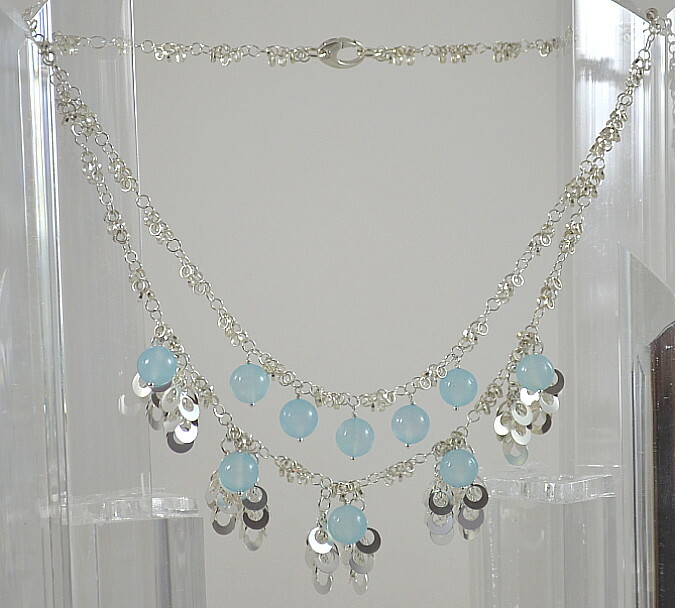 A very feminine necklace if I do say so myself.